Looks like East London based artist D*Face has been getting up in South America. 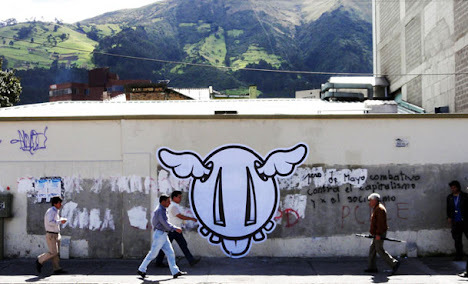 The artist was recently invited to paint at the ‘9no Festival de Arte en la Calle’, held in the capital of Ecuador - Quito. Our friends at Arrested Motion have the full report with lots more photos.